Ronnie took us from Kandy to Nuwara Eliya on 5th February. On the way we stopped off at a viewing point to see waterfalls and a tea plantation. The car was very clean and Ronnie was a careful and attentive driver. 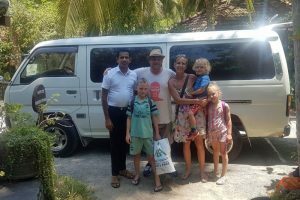 I would highly recommend Mack Travel to anyone travelling in Sri Lanka.